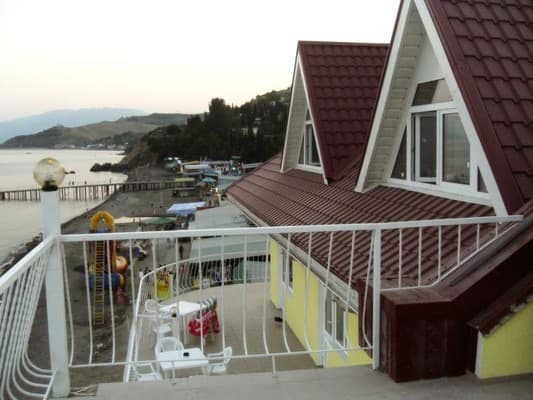 Private hotel "Slonotel" is located in the village of Malorechenskoe, 25 km from Alushta in the direction of Sudak. At 12 km from Malorechensky is the largest waterfall in the Crimea "Jur-Jur". The guest house is surrounded by free beaches with pebbles, sand and rocks. 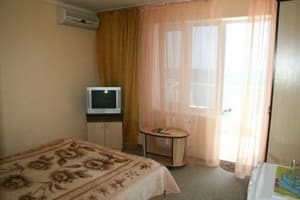 Attention of the guests are offered rooms of the category "Junior Suite", "Suite", as well as "Vip". 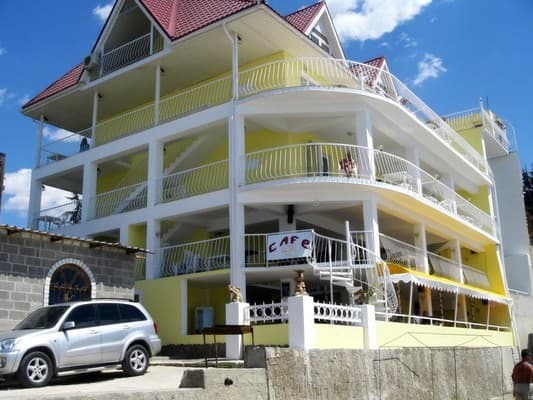 The hotel is located 5 meters from the beach. On the territory of the hotel there is a free parking lot, as well as a restaurant with 100 seats. PRICES MAY CHANGE, YOU NEED TO RECEIVE INFORMATION FROM THE OPERATOR! Description of the room: Room with a total area of ​​20 m2. In the room - beds with orthopedic mattresses, towels. Description of the room: Room with a total area of ​​20m2. In the room - beds with orthopedic mattresses, towels. Description of the room: Two-room suite with a total area of ​​40m2. Rooms with sea views are located on the 2nd and 3rd floor. The room has a balcony, towels. 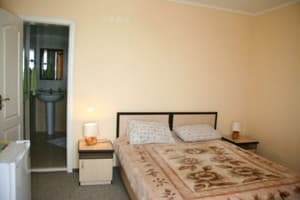 Description of the room: Cozy apartments in the style of EAST and AFRICA. The area of ​​the floor is 160 m2. (+ terrace of 40m2). In the room: bar, fireplace, towels. 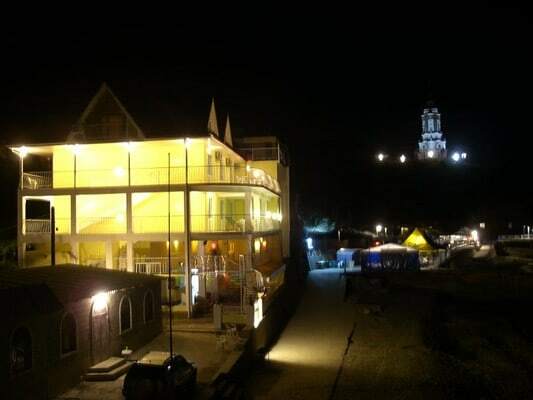 Private hotel "Slonotel" is located in the village of Malorechenskoe, 25 km from Alushta in the direction of Sudak. Distance to the sea is 5 m., To the waterfall "Jur-Jur" - 12 km. 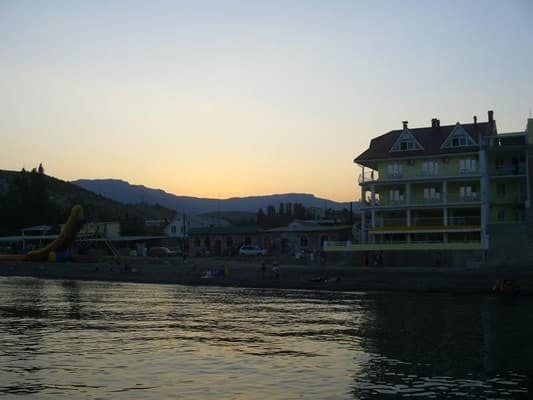 It is easiest to get there with a transfer in the city of Alushta. 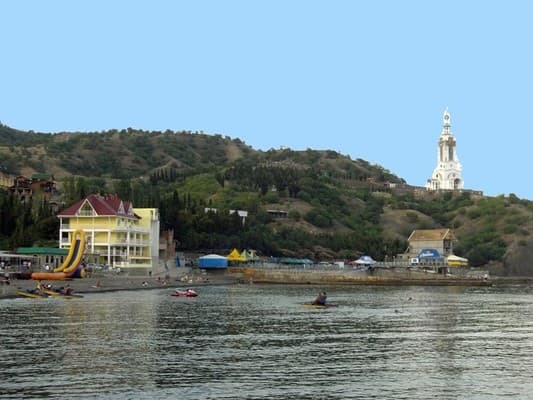 Prior to Malorechensky from Alushta, you can reach the minibuses or by bus Alushta-Sudak, Yalta-Sudak.